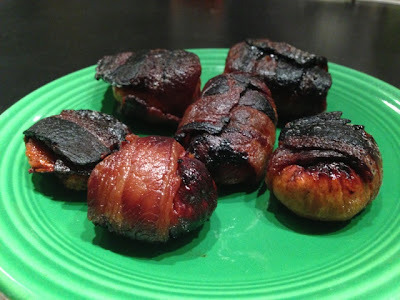 Tonight I made these paleo-friendly bacon-wrapped figs because I was craving a snack I could pop while I waited for dinner to be ready. Just bake them on 350 degres until the bacon starts to become more opaque. Flip once and cook for another minute or two. Enjoy! Bacon-Wrapped Figs make a great Paleo snack!